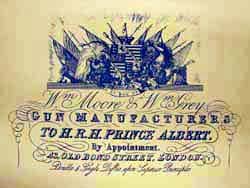 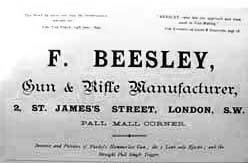 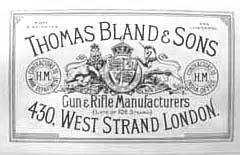 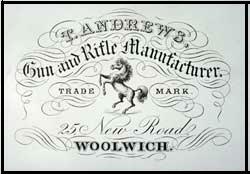 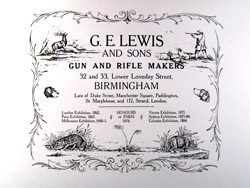 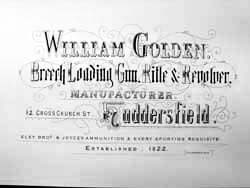 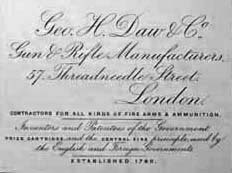 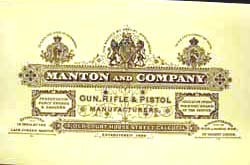 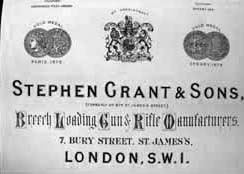 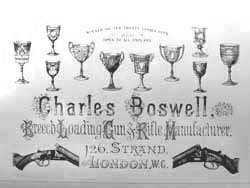 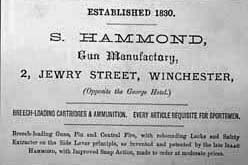 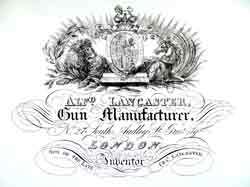 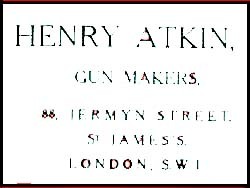 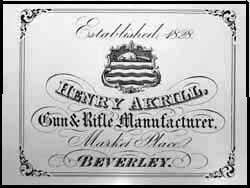 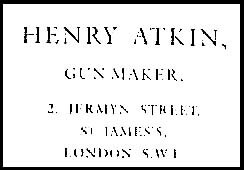 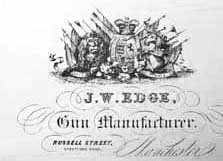 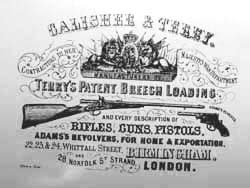 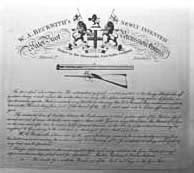 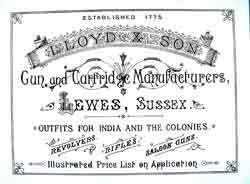 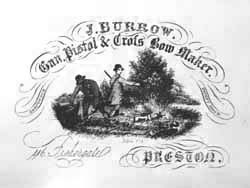 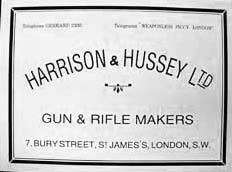 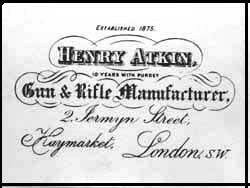 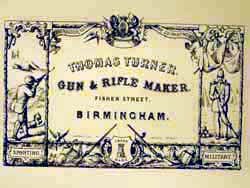 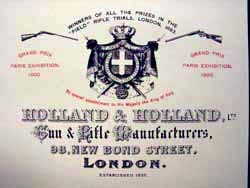 T. Andrews, Gun and Rifle Manufacturer 25 New Road, Woolwich. 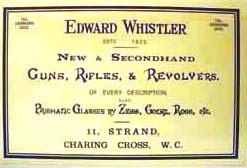 2 St. James Street, London. 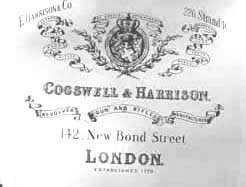 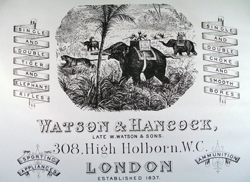 142 New Bond St. London - inc. E. Harrison & Co. 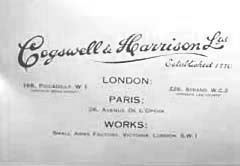 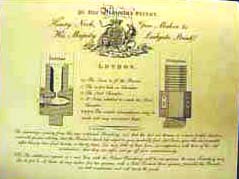 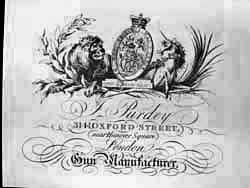 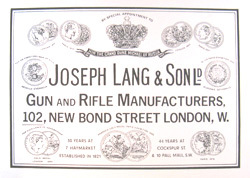 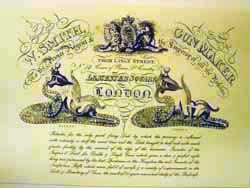 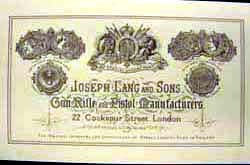 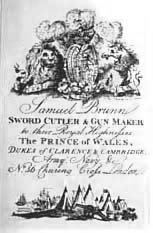 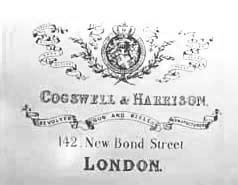 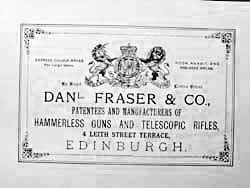 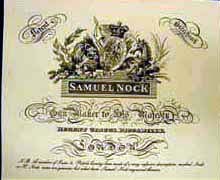 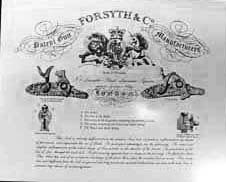 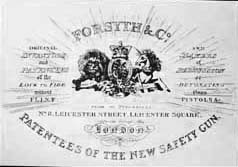 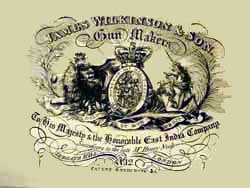 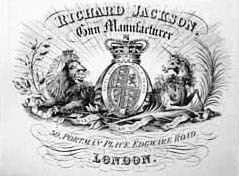 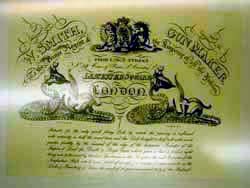 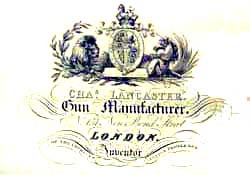 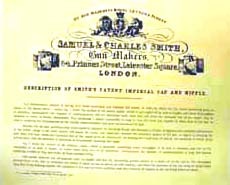 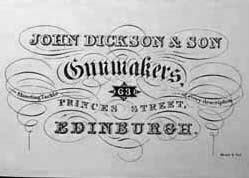 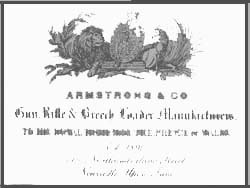 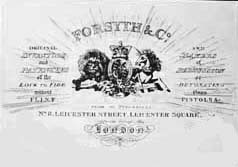 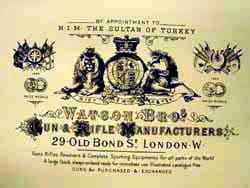 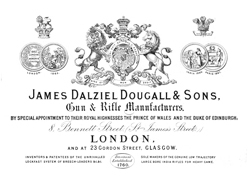 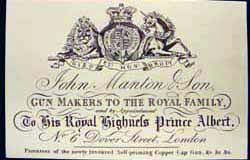 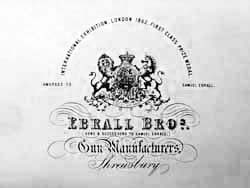 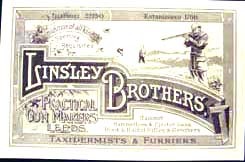 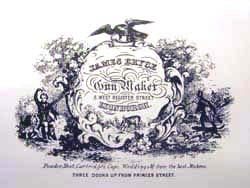 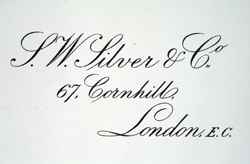 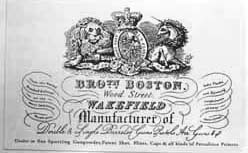 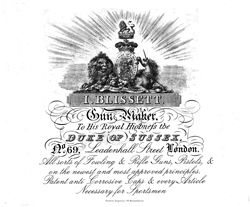 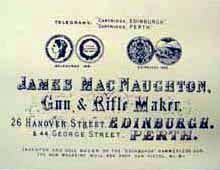 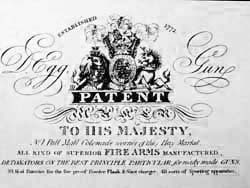 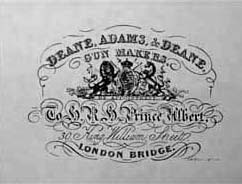 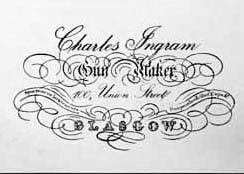 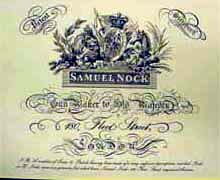 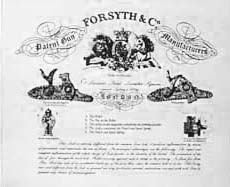 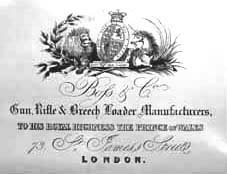 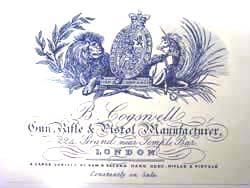 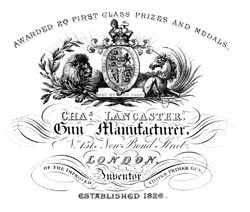 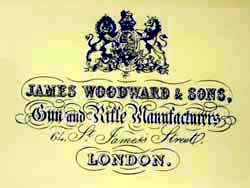 Copy of an original trade label from James Dalziel Dougall & Sons, 8 Bennett Street, St. James's Street, London. 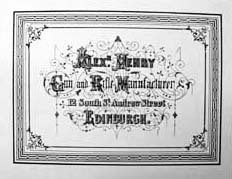 and at Gordon Street, Glasgow. 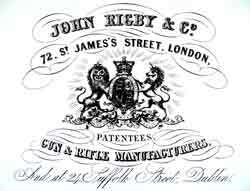 67a St. James Street, London. 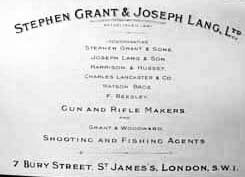 7 Bury Street, St. James's Street, London. 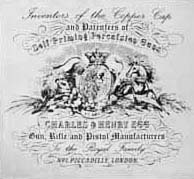 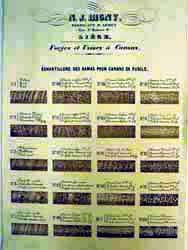 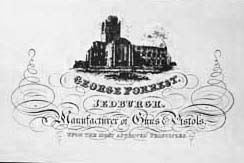 Reproduction Paper trade label from Charles Hellis & Sons, 119 Edgeware Road, Hyde Park, London W.
98 New Bond Street, London. 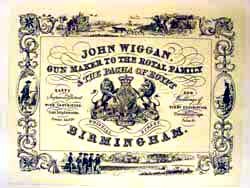 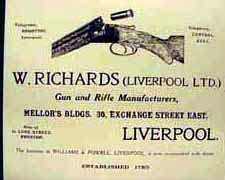 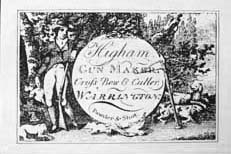 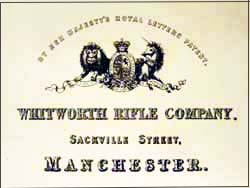 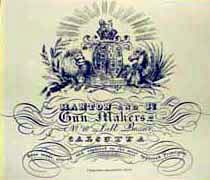 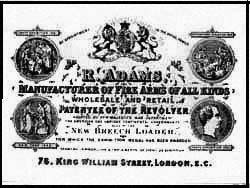 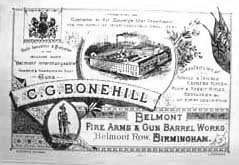 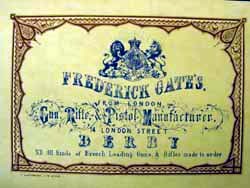 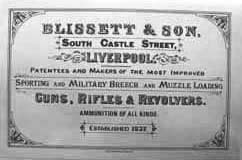 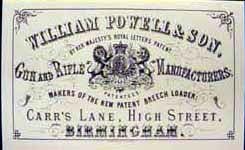 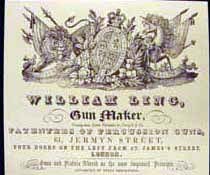 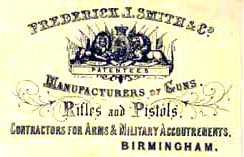 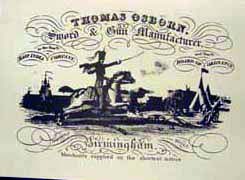 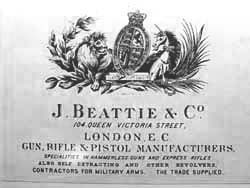 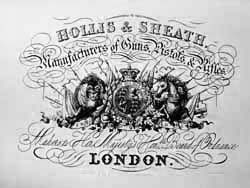 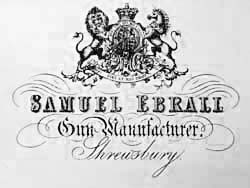 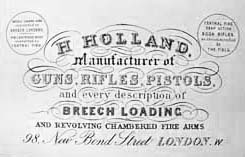 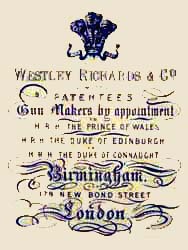 Robert Hughes, Universal Firearms Works, Moland Stret, Birmingham and Aston Street. 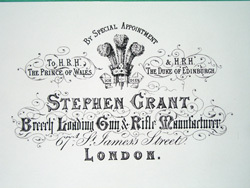 13 King Street, St. James's Street, London. 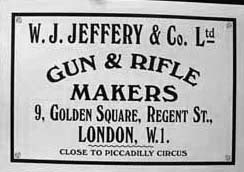 9 Golden Square, Regents Street, London. 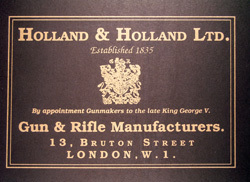 102 New Bond Street, London W.
25 cm x 19 cm. 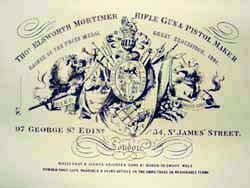 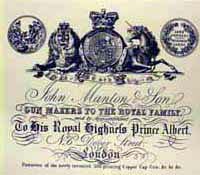 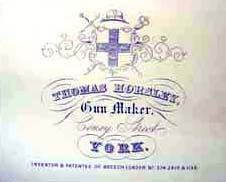 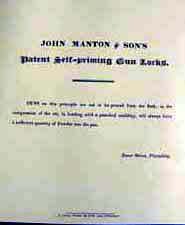 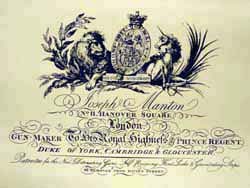 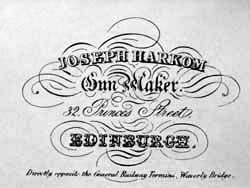 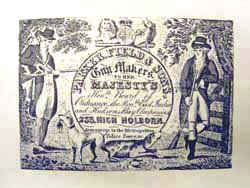 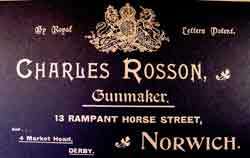 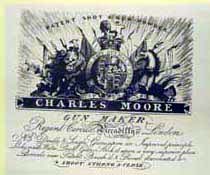 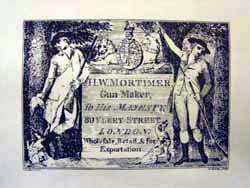 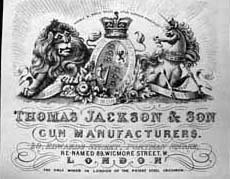 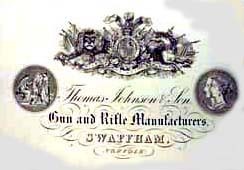 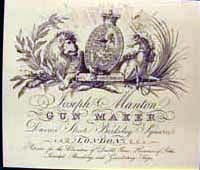 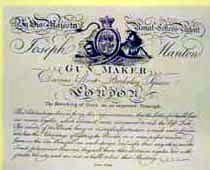 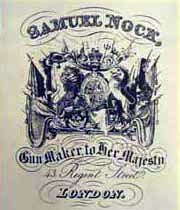 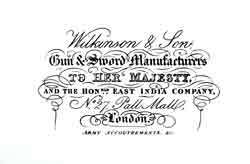 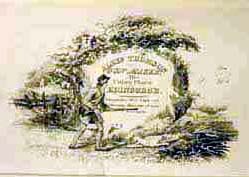 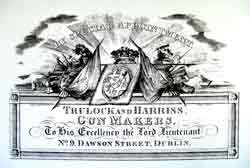 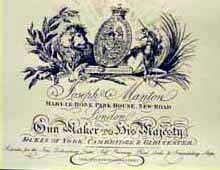 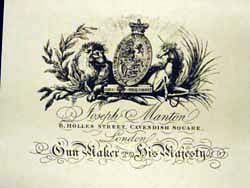 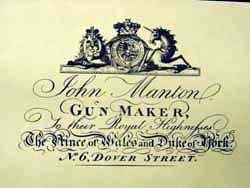 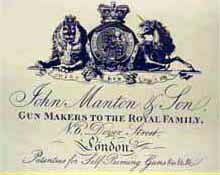 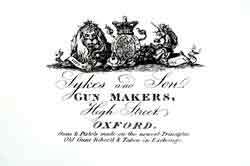 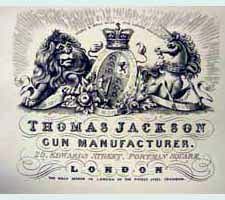 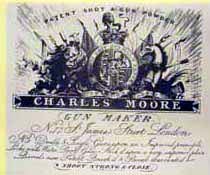 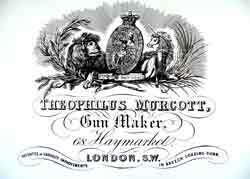 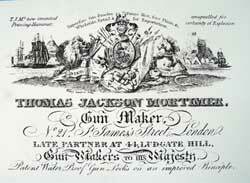 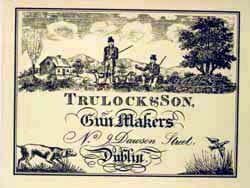 Thomas Jackson Mortimer, Gun Maker, 21 St. James's Street, London. 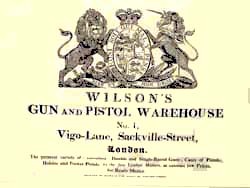 Late partner at 44 Ludgate Hill. 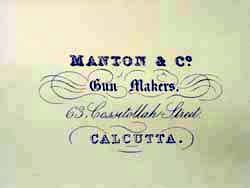 7 - 8 Dalhousie Square, Calcutta. 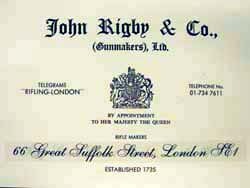 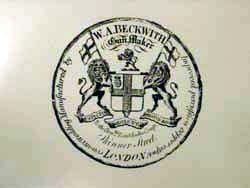 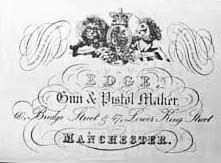 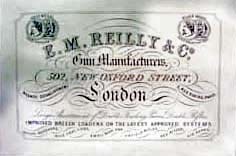 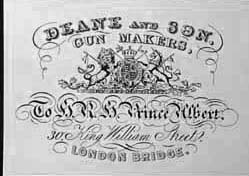 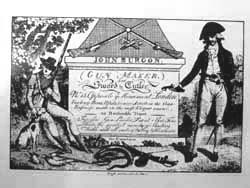 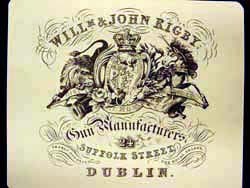 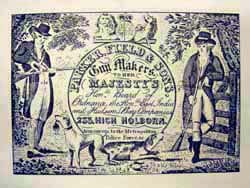 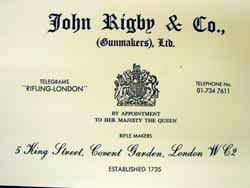 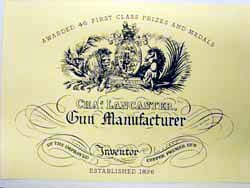 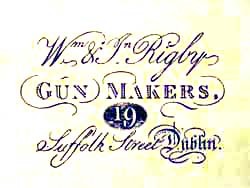 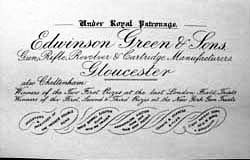 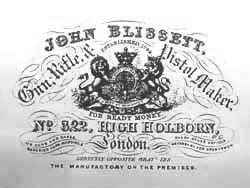 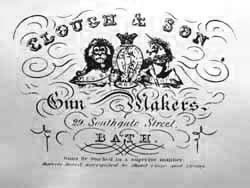 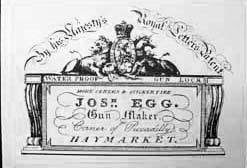 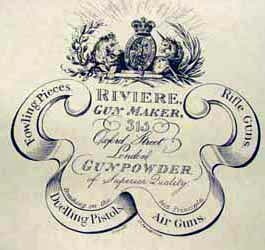 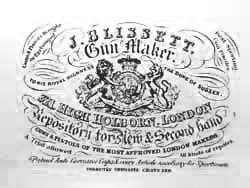 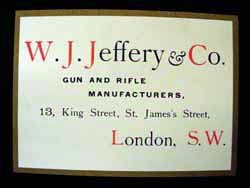 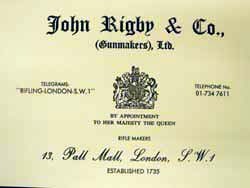 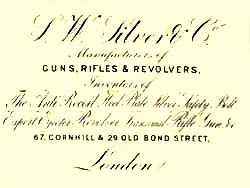 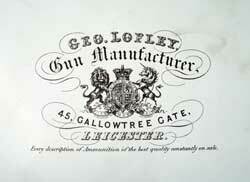 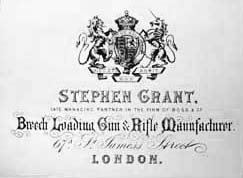 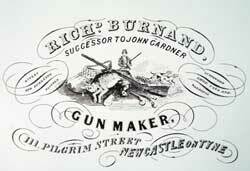 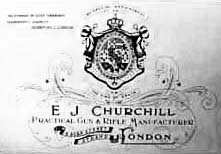 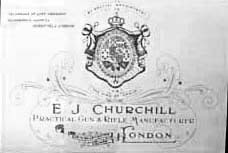 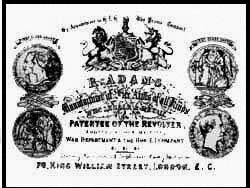 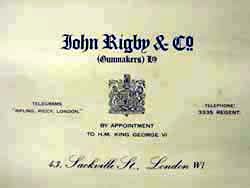 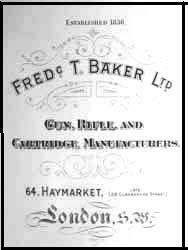 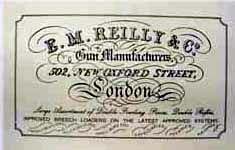 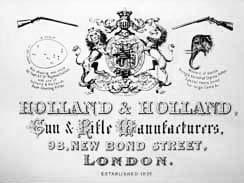 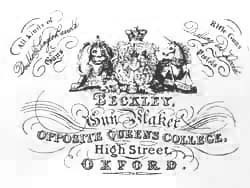 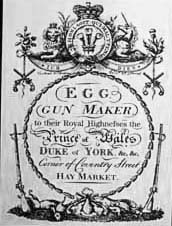 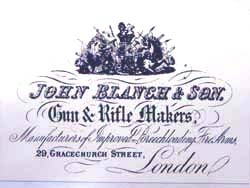 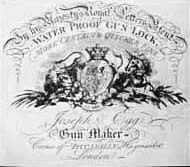 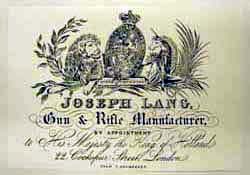 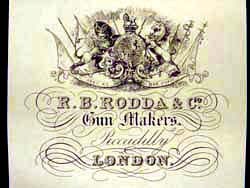 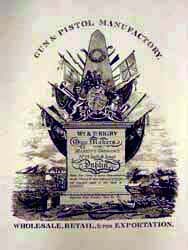 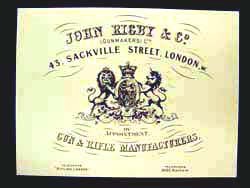 A leather label from John Rigby & Co., (Gunmakers) Ltd. 66 Great Suffolk Street, London SE1 OBU. 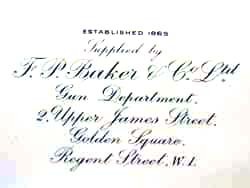 Gold lettering on quality black leather. 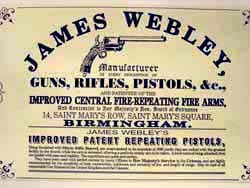 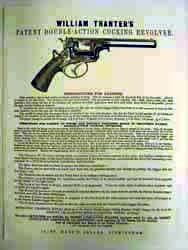 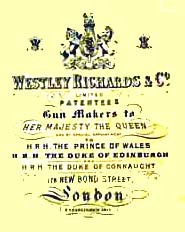 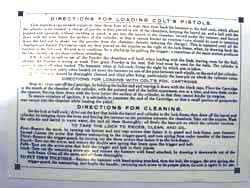 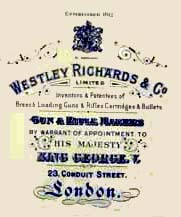 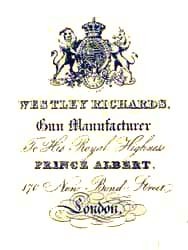 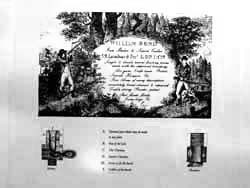 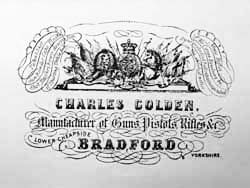 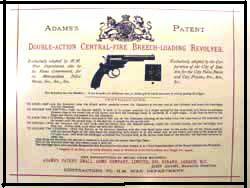 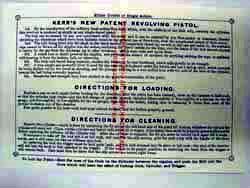 Paper reproduction trade label Webley's Patent with directions for cleaning and loading - size 9.75" x 4"
Cartridge disclaimer states"Messrs Westley Richards & Co. will not be accountable for any cartridges made for their patent breech loading rifles unless manufactured by themselves. 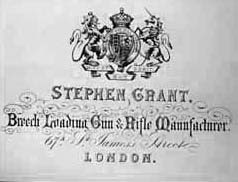 Each package of ten cartridges is closed up by a label having their name. 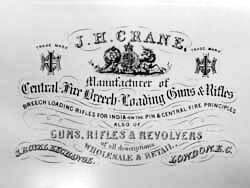 A well made cartridge is absolutely necessary to secure good shooting, and also to prevent the escape of gas after the explosion. 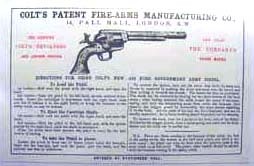 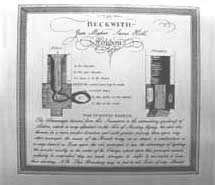 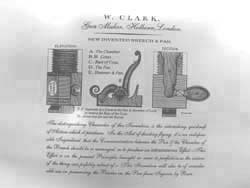 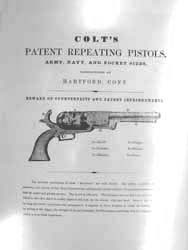 Should an escape of gas at any time escape, it will be easily observed, as it will discolour the gun-metal plunger that goes into the barrel at the back of the cartridge, and also foul the block, and underneath part of the lever on which the block is fixed. 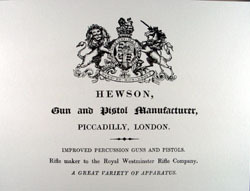 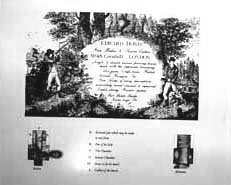 It is advisable to attend to the above directions, and should any escape of gas ever take place, either from the blowing of the gun-metal plunger or other injury, it is better to suspend shooting, and have a new plunger fitted. 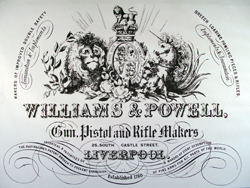 Williams & Powell, 25 South Castle Street, Liverpool.